Many patients use CBD oil for pain management because it may help with chronic pain relief, reducing inflammation, and general aches and pains. Before you seek out this particular treatment, learn more about marijuana oils and how to use CBD for your pain. What is CBD and marijuana oil? First, you may need to understand the difference between CBD and THC. While both THC and CBD come from the cannabis plant, cannabidiol is a specific type of cannabinoid which doesn’t provide the psychoactive effects often associated with marijuana. In other words, CBD doesn’t cause the “high” correlated with marijuana but still offers many medicinal benefits without the dangers of addictions found in other pain meds. Moreover, marijuana oil is synonymous with CBD oil. Although not FDA approved, CBD creams and oils have shown benefits for many different ailments including arthritis, chronic pain, and inflammation. 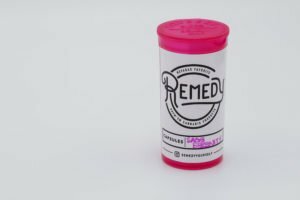 Being discreet to ingest, the different types of CBD, capsules and tinctures, allow for users to take medical cannabis one or two drops at a time, or as recommended by their physician, instructed by their caregiver or budtender. Because of its natural components, CBD provides minimal side effects and does not show any addictive or dependent qualities often found in other pain relievers. While studies show there may be a few side effects, the effects of cannabis are ultimately minimal in comparison to pharmaceuticals. CBD oil is extracted from flower, leaves, stalks, or hemp. Our cultivation partners craft some of the best cannabis products in Nevada, including CBD and marijuana oils. You can learn more about each of these alternative treatments below. Discover more about CBD capsules and the right remedy for you. Founded on the principles and values of taking care of loved ones while considering medical marijuana, Silver Sage Wellness prides itself on putting the patient first. Ask about our CBD and marijuana oils and which one may be right for you.